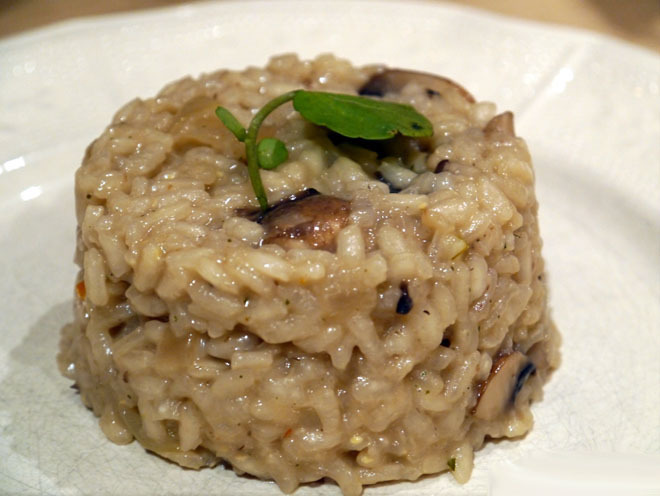 Risotto is basically an Italian rice dish which is also popular in Pakistani restaurants as well. 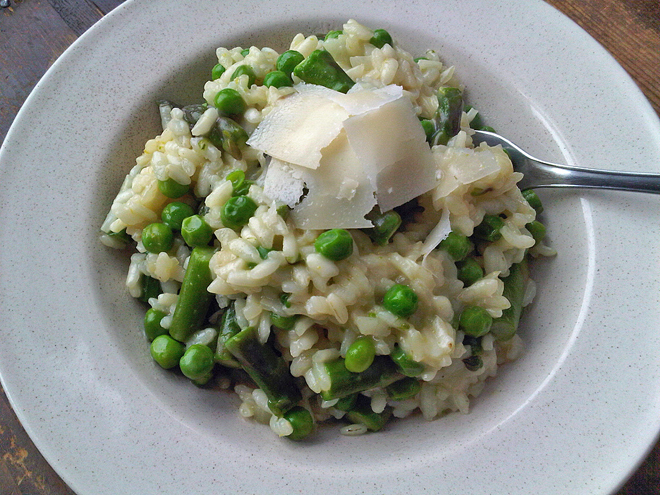 You can get this dish in every high class restaurant and not only a single dish-a variety of dishes in Risotto. People usually think that it is not an easy task to make restaurant worthy recipes at home, but it is totally a wrong concept. You can make almost every restaurant dish at your home. Following is the list of restaurant worthy recipes that are actually easy to make. Try them at your home and get the taste of restaurant in no time. 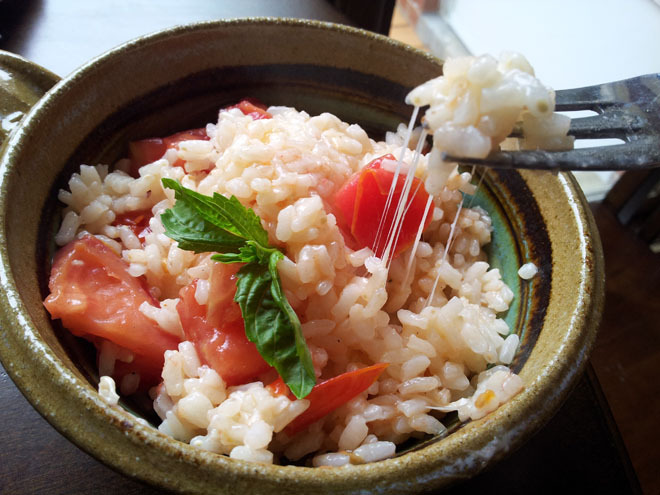 If you’re fond of cream then you must try risotto with fresh mozzarella. It will be cook in olive oil and rich in calcium. You have to add balsamic vinegar and basil to get Italian flavor. Mozzarella cheese will add to the taste of the recipe. This dish is perfect for those who love chicken in their every food. The recipe is simple and easy to cook; the time that it could take for cooking is just 1 hour. The ingredients that you need to prepare this dish are chicken breast, salt and pepper, 3 cloves of garlic (minced), butter, cheese, long grain rice, onion (fine chopped), 1 cup cheese and 3 tsp olive oil and 4 to 6 cups of chicken broth. All you need to do is just sprinkle salt and pepper over chicken breast and leave it for while. Then heat olive oil and add onion and garlic in it and cook it for 5 minutes. Now add rice and chicken broth until it cover whole rice and cook for 25 minutes. Then add cheese and butter before serving. It is another restaurant worthy recipe which is simple and easy to make. 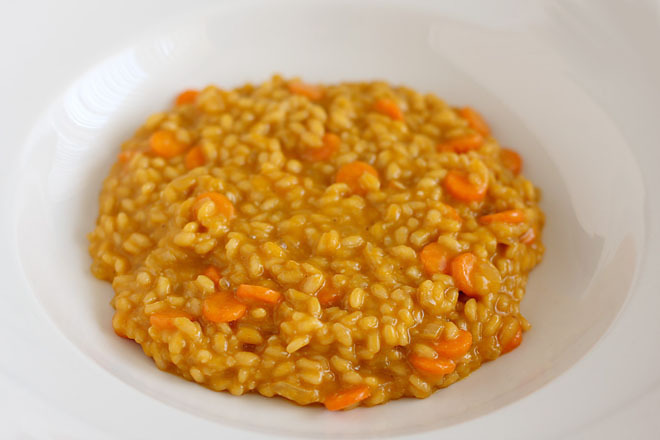 The ingredients of all risotto recipes are almost same and the method of cooking as well. 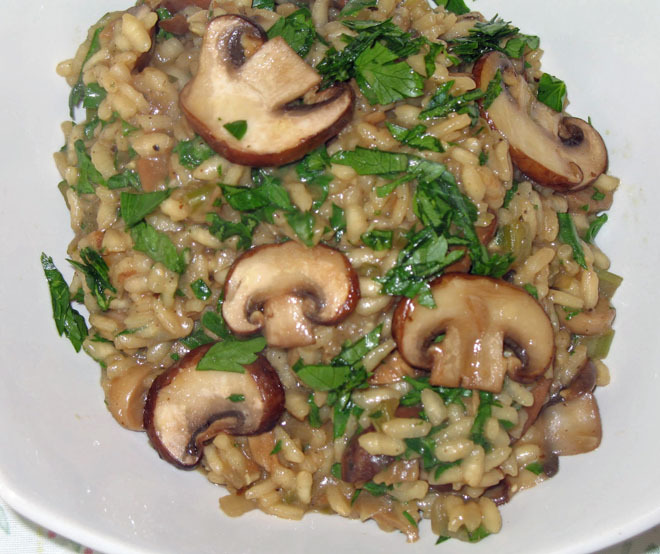 For mushroom risotto, you need mushrooms, parsley, chicken, rice, salt and pepper, butter etc. Try this recipe and enjoy the taste of restaurant at home. 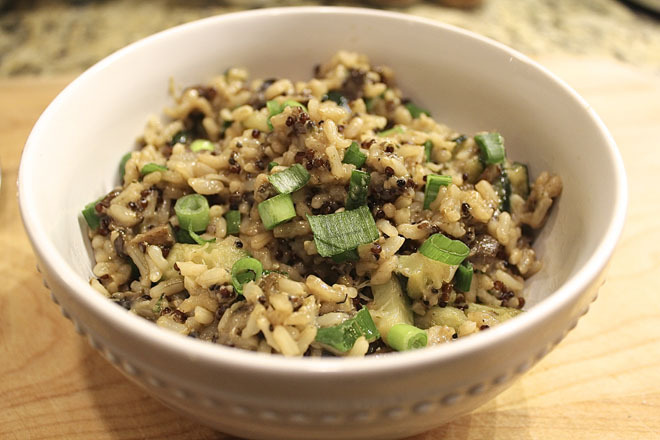 Brown rice risotto is usually made in organic veggies. Short grain rice is used in this recipe and the other ingredients are olive oil, cheese, garlic cloves, black pepper etc. 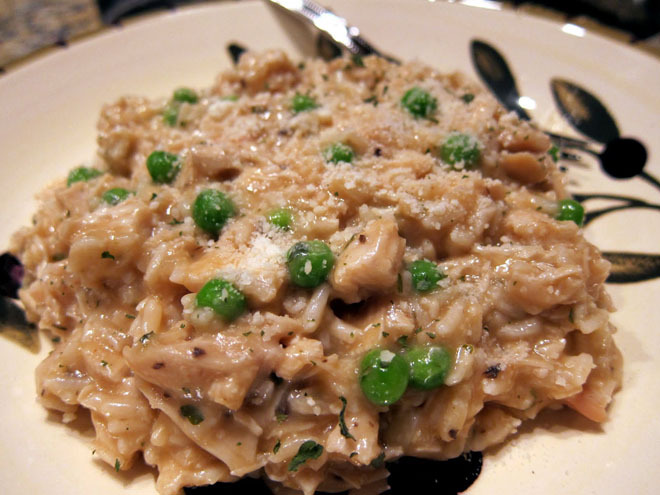 You can make risotto rice in the same way as mentioned above and can serve them with roasted chicken. It will be a perfect lunch for family and also took an hour for cooking the full dish. You just need to heat oil in a pan and sauté onion and garlic until they became transparent. After that, add pea and again sauté for 5 minutes. Now add risotto rice and cover it for 5 to 10 minutes. 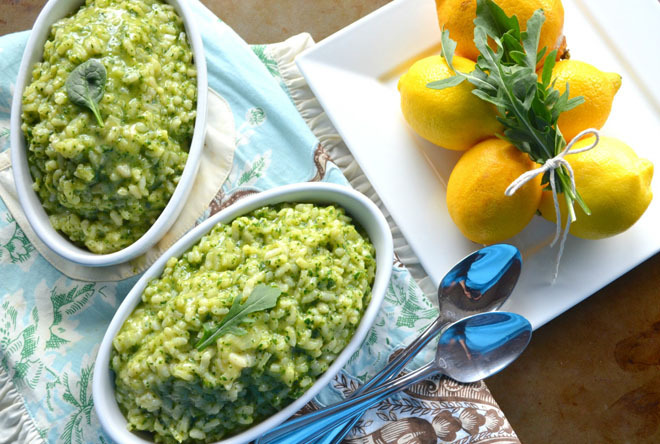 The delicious green pea risotto is ready to serve. 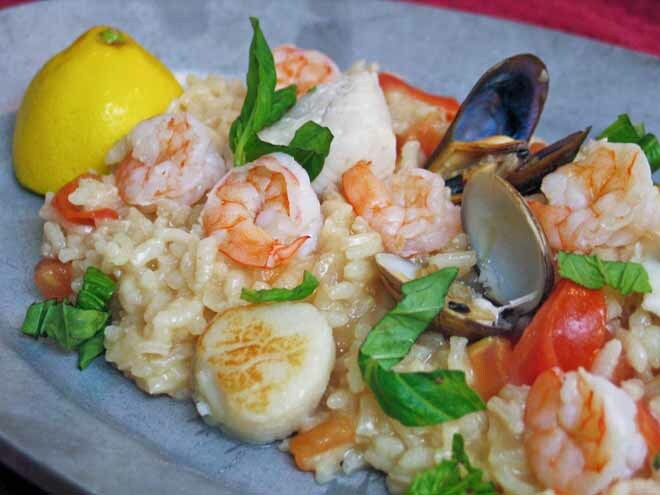 Those who love sea food can enjoy sea food risotto. The recipe is quite simple, you just have to make simple risotto with the same method and just add the sea food of your choice in the cooked rice and give it steam of 20 minutes. 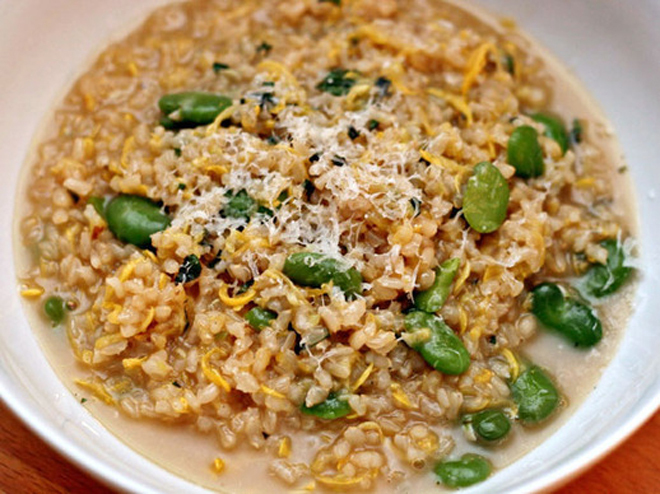 This risotto recipe has butter in excess and will give your buds a delicious taste. Just heat the oil and add the ingredients in it which are required. You can add cheese as well according to your taste. Now add rice gradually and cover the lid until the rice cook properly. Your butter risotto is ready. You can garnish it with cheese and black pepper. 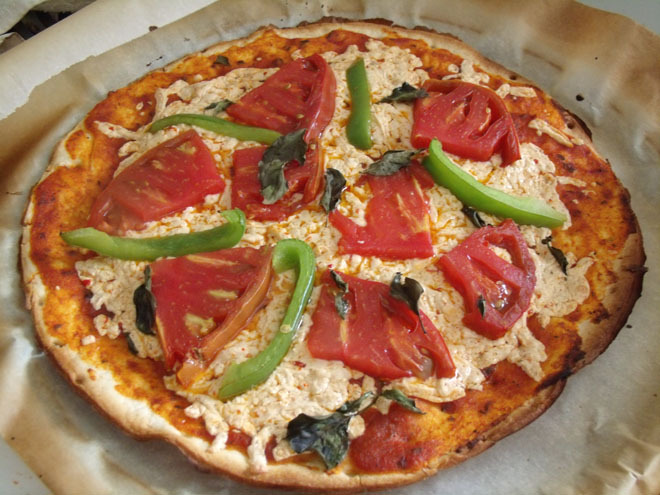 This recipe is for those who love pizza a lot. The pizza risotto is as simple as you cook pizza at your home. You just need the required ingredients i.e. olive oil, mushrooms, garlic cloves, pizza cheese, cheery, capsicum and rice. Add some oil in a pan and sauté all the ingredients except cheese. Then add rice in another pan and make a layer of pre cooked ingredients. Now spread cheese over the mixture and bake it for a minute. Pizza risotto is ready to serve. The ingredients are same of this recipe like above but you have to add spinach, lemon and chicken too in its ingredients. 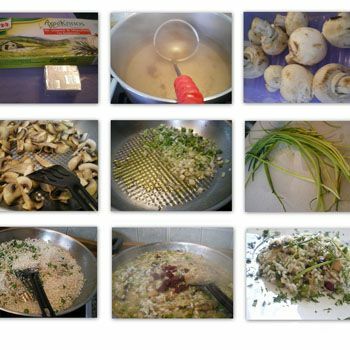 It is another simple and easy restaurant worthy risotto recipe that you can cook at your home. You have to cook mushrooms in butter for better taste. It is very useful recipe for those who are vegetarian. 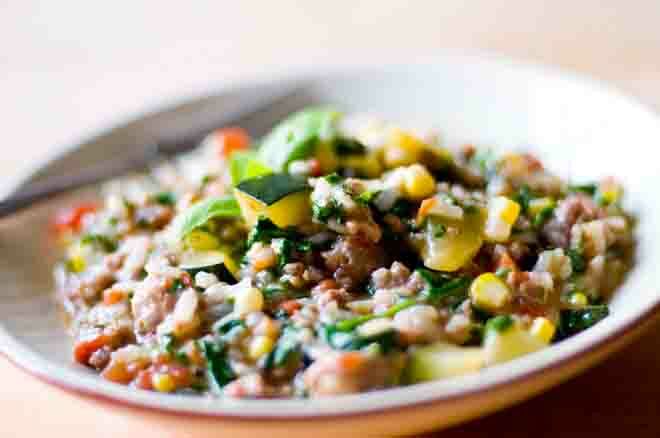 This dish is full of veggies and very easy to make. Heart Throb Fawad: the new face of Fair & Lovely for Men! Kris Jenner: A Demented Norma Desmond? Help Jeremy Renner Find His Lost Dog!